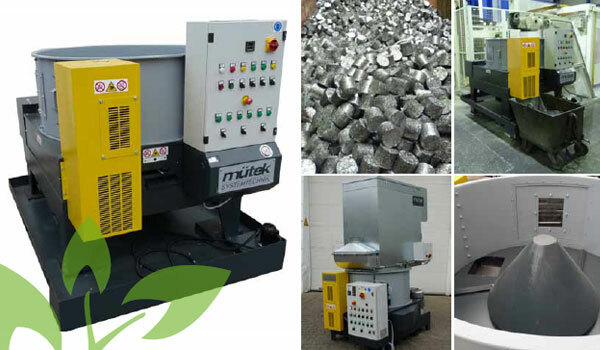 mütek Systemtechnik is the specialist for individual machines and complete solutions for volume reduction of aluminum and other non-ferrous metals. 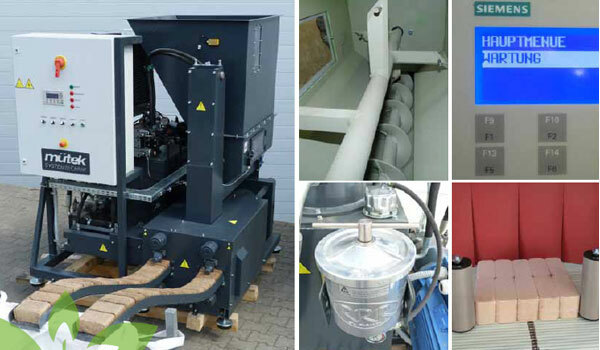 For many years, mütek Systemtechnik has been working on the shredding and briquetting of aluminum and the recovery of coolants and lubricants. mütek provides valuable information and experience on compaction and emulsion recovery, plans machine engineering, supplies and assembles the entire plant. The shredding machine type MRZ is the optimal shredder for your aluminum residues. MRZ shredders are equipped with a slow-running profile full-steel rotor (Ø 260 or 360 mm). The raw material is pressed against the shredding rotor by means of a hydraulically operated moving floor. Depending on the desired granule size, sieves with hole sizes of 10 to 50 mm can be installed. The generated chips are conveyed via conveyor belts for further processing. Single-Shaft-Shredder with hydraulic slider which presses the material against the slowly turning rotor. 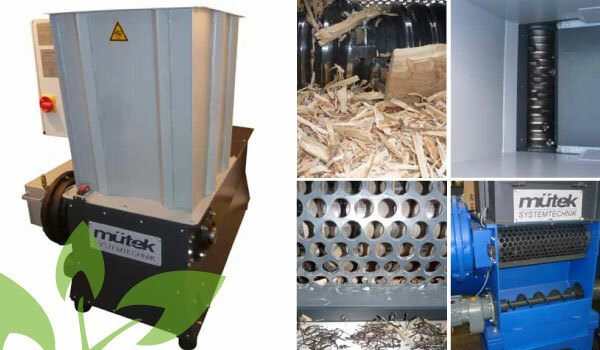 The high-quality mütek briquetting presses process aluminum and other non-ferrous metals into stable briquettes. Compared to loose material, the initial volume is reduced by up to 90%. The briquetting of their production residues helped mütek's customers in two ways: on the one hand, the return price for briquettes increased by about 100% compared to chips. On the other hand, valuable cooling and lubricants can be recovered and returned to the cooling process via a cleaning plant. Sturdy briquetting press for non-ferrous metals with very good price-performance-ratio. Performance: from appr. 50 kg/h. Briquette shape: cylindrical. wear reduced briquetting press with a performance of appr. 600 kg/h from aluminium, copper, brass, etc. Briquette shape: square.